The First Fridays Artswalk on May 3rd will feature 18 art exhibitions, opening receptions, and special ArtWeek activities throughout downtown Pittsfield, including open studios, live demonstrations, scavenger hunt, and community-wide interactive art-making. The event will take place from 5 to 8 pm; and there will be a free guided tour beginning at 5 pm on May 3rd at the Intermodal Center @ BRTA, 1 Columbus Ave.
NUarts Studios and Gallery, 311 North Street, will feature a variety of interactive arts for the community for one night only: Friday, May 3rd, 5 to 8 pm, during First Fridays Artswalk. NUarts will host a poetry and music jam, community fabric weave with Marney Schorr, watercolors with Sally Tiska Rice, coloring and collage with Joan Rooks, a gouache painting demo with Ilene Richard, video animation with Dan Brody, mixed media with Kathy Gideon, abstract art with Peggy Morse and Caroline Kelly, and modality and materials painting with Karen Jacobs, using sponges, straws, combs, springs, marbles and more to make abstract paintings on paper. All arts activities are free and family friendly. Downtown Pittsfield, Inc., 33 Dunham Mall, will host an original exhibition, on view for the first time, of all 38 photos that were submitted as part of their first ever Pittsfield Photo Challenge. 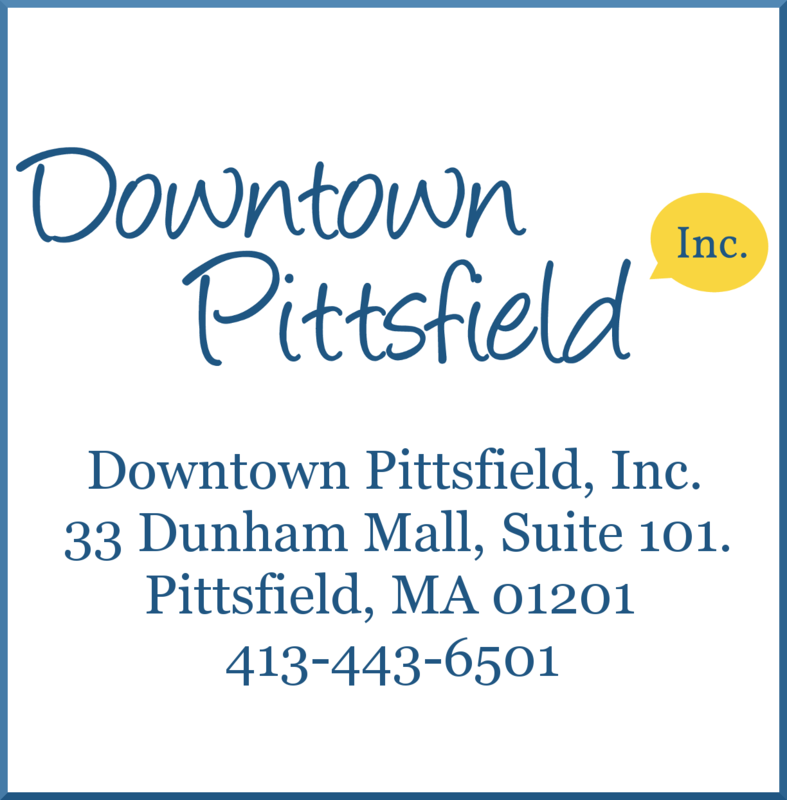 This past fall, Downtown Pittsfield, Inc. held a photo challenge to find the photo that best captures why downtown Pittsfield is the “Heart of the Berkshires”. 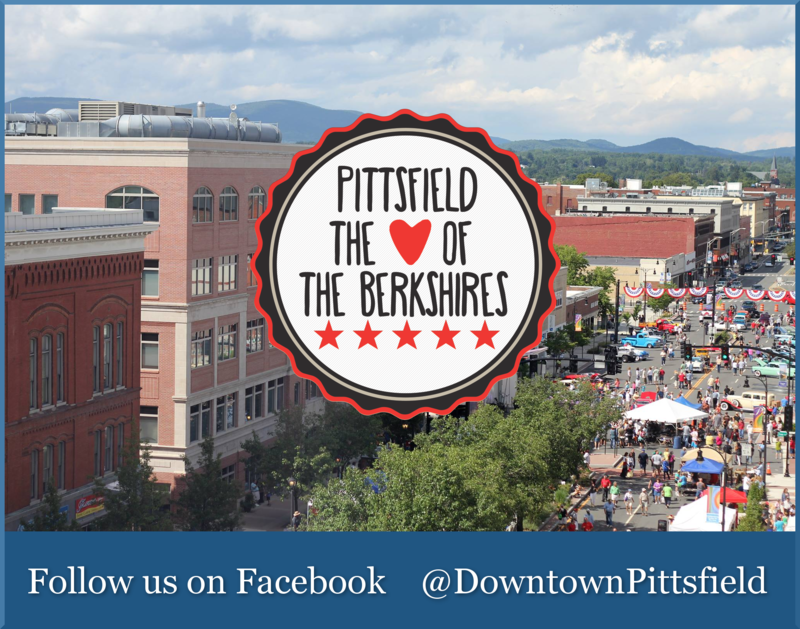 Entrants were encouraged to capture photos that showcased the beauty and personality of downtown Pittsfield, keeping in mind the theme “Heart of the Berkshires”. There will be an opening reception for the show on Friday, May 3rd from 5 to 8 pm during First Fridays Artswalk, and the show will remain on view through the month of May. The Berkshire Museum, 39 South Street, will host an interactive art project in the form of Community Mural Coloring during the weekend of May’s First Fridays Artswalk. Join the Berkshire community in creating a series of vivid mini-murals as part of ArtWeek MA. Visitors of all ages are invited to add their own unique colors and watch as each image comes to life, one square at a time. The completed murals will be displayed at Berkshire Museum following ArtWeek MA. All materials will be provided. The event is free and will take place in the museum’s lobby on Friday, May 3rd, 5 to 8 pm; Saturday, May 4th, 10 am to 5 pm; and Sunday, May 5th, 12 to 4 pm. Works by the artists featured in Artscape’s 2019 outdoor sculpture show will be showing additional work at Framework, Pittsfield Coworking, 437 North Street, during the May 3rd First Fridays Artswalk, 5 to 8 pm, and through the month of May. The Framework show will include additional sculpture, drawings, designs, and works by the artists: Paul Angiolillo, Joe Chirchirillo, Joe Gitterman, and Bob Turan. Dottie’s Coffee Lounge, 444 North Street, will present an ArtWeek Special Event, “Food as Art: make your baking a creative expression” on Friday, May 3rd, 5 to 7 pm, with a demo from 5:30 to 6:30 pm. Learn cake and cupcake decorating techniques during a lighthearted demonstration and micro-workshop that ends in eating cake! An ongoing art exhibit, “The Instagram Image Out of Context”, will also be on view. The Lichtenstein Center for the Arts, 28 Renne Avenue, will be hosting its annual “Art in Our Schools Exhibit”, a 30 plus year tradition held each spring honoring art education and our creative young people. Art from Grade 6 through 12 students in the Pittsfield Public Schools will be on display throughout the month of May. There will be art making during the opening reception on Friday, May 3rd, 5 to 8 pm. Some artists from the studios housed within the Lichtenstein will also have open studios during Artswalk on May 3rd and some will have live art demonstrations. Most art will be on display throughout the month. For more information on First Fridays Artswalk and to view a listing and map of all participating artists and locations, visit www.FirstFridaysArtswalk.com.